In September 1972 the club opened its brand new clubhouse. The President of the RFU Dudley Kemp opened the new facility and a match was played between a club XV and an invitation XV including a number of internationals The clubhouse was built with financial support from the RFU, Sports Council and Courage Brewery on land supplied by Bracknell Development Corporation in exchange for the site of the previous brick built clubhouse on Eastern Road. 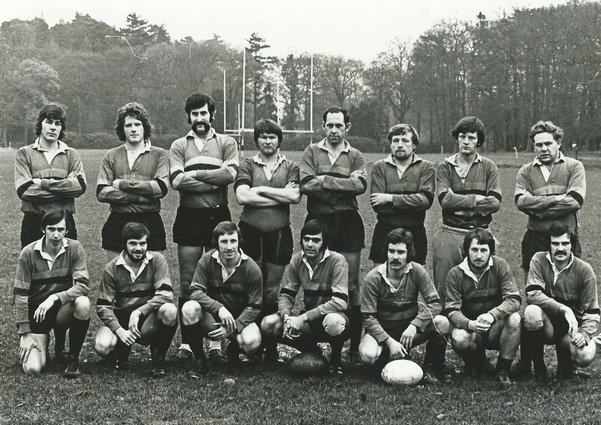 After sixteen years of existence the founders of the club had achieved so much – the clubhouse with changing facilities and pitches on one site in the environs of Bracknell. Under Club Chairman Tom Jones, who co-ordinated the project, the clubhouse was designed by Bert Ridley, a long time club member and county referee and was financed, apart from the loans, by the debt financial footwork of Dale Ball and receipts from the bar at the old clubhouse, run almost single handed by Jamie Maunder. In euphoria that overtook the club with the opening of its new headquarters, one sad point was missed. The pitches had been re-laid by the Development Corporation, were constructed of the worst possible material and since 1972 have been a thorn in the side for the club. During the 1970’s new members came onto the committee and others who had served the club in the past took new positions. In 1972 Jonathan Dance became secretary and David Thursh became Treasurer, to be followed by Steve Ward. Tom Jones, Dave Edwards and Jamie Maunder all filled posts of Chairman and President. 15th October 1977 a first for Bracknell. Hilary Bradshaw became the first lady to referee a Bracknell game, when Bracknell played High Wycombe. Hilary had become the first lady referee (having been refereeing since the 1975-6 season) so this was not the first time a lady had refereed a game, as some have suggested, but nevertheless it was the first time a lady had taken control of a Bracknell game. Both on the field and off the Club has always been in the forefront of thinking for a Junior Club employing a full time Bar Steward in 1978. Building on the sound organisation and finances through the 70’s, the club entered the 80’s with great expectations, not before celebrating its 25th anniversary in the 1979/80 season. In 1980 and again in 1989 the Club extended its facilities increasing the size of the clubhouse by 50%, installing and upgrading its gym facilities and upgrading its floodlights. During the 80s the club gained an enviable record for touring, going to places such as the USA (1980), Canada (1984) and the Far East (1987). Not to mention the odd Easter ‘Misfits tour’ to Guernsey and Jersey. The number of teams had increased to seven sides including the Bulls and the mini and junior sections flourished, with the club running teams at every age group from u17 to u8. The club is where in 1983 a five year old local lad, Lewis Walton Moody (MBE) started playing rugby. He played at Bracknell until 12 years old. 1984/5 the Colts side won the Berkshire colts cup. 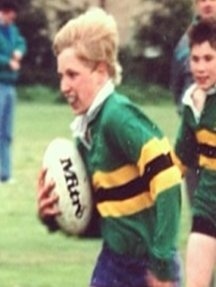 Included in the colts side was 'beanpole' No 8 Simon Newman, who went on to play for Harlequins and represent the South West Division in the RFU divisional games, as well as the clubs 1XV. Jonathan Dance was appointed Club President in 1984 taking over the role from Jamie Maunder. 1985 saw Bracknell, under the leadership of Steve Holden, play in their first ever Berkshire Cup final, unfortunately they lost 6 – 4 to Maidenhead. Center Kieran O'Shea scoring Bracknell's unconverted try. 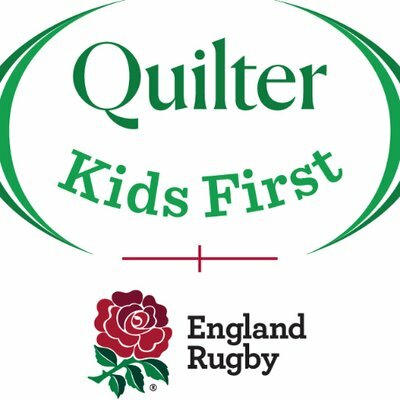 23 March 1986 saw the first ‘international’ match played at Lily Hill when an England XV played an International XV in support of the Wooden Spoon Society. Over 1500 saw the likes of Paul Rendall, Marcus Rose, Stuart Barnes and Bill Cuthbertson run out at Lily Hill. 1986 also saw the Bracknell player David Holoyrd captain Berkshire. Berkshire were to go thru the season unbeaten. In 1987 the RFU introduced the first national league system, Bracknell starting life in the leagues in Southern Counties (level 7), which Bracknell were immediately relegated from! 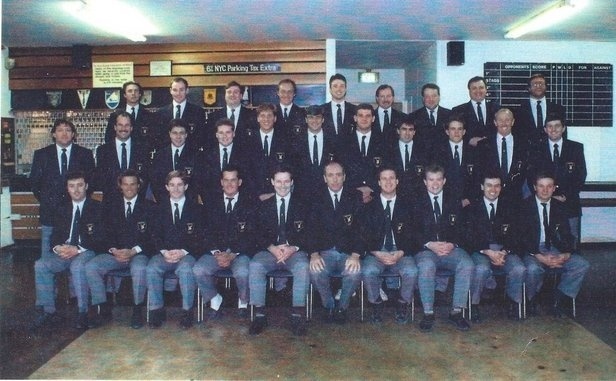 They gained promotion back to Southern Counties a season later, under the captaincy of Chris Vaal. 1989/90 saw the decade close with the colts emulating their 1984/85 predecessors by winning the Berkshire County Colts Cup, defeating Reading Abbey, Maidenhead along the way and Newbury 12-0 in the final. In the team was Clive Jones who would later not only play for the clubs 1XV but also represent Oxford University in a number of Varsity Matches. The club played host and training base to Zimbabwe at the start of their 1991 World Cup campaign. We have since hosted a number of touring sides such as NZ and Australia. In 1991 the club undertook their first tour to Africa, when they toured Kenya, under the captaincy of legendary tourist Maurice Rocks. Bracknell defeated Kenya 14-17 in the final game of the tour.